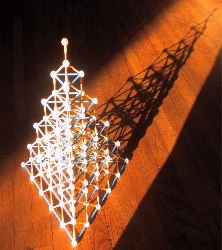 Zome was reviewed in this space on May 25, 2004, but it's such a great toy that we are always finding new things to do with it. 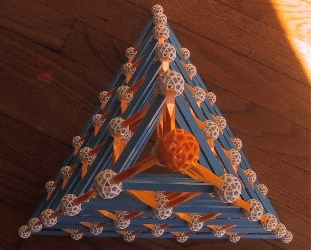 Peter nested a series of tetrahedrons to construct this tree. Zome is made in the US. Zome Tool - Creator Kit is a powerful tool for serious builders in a neat attache. 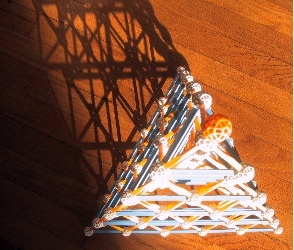 Create even more dazzling structures from 2, 3, and higher dimensions. Perfect for big projects and classroom use.